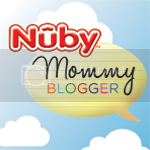 As you all know, I have recently become a Nuby Mommy Blogger! I have to say that I am stoked. With this comes products that I will be reviewing and doing giveaways for! I wanted to tell you more about Nuby before I go into detail about the review! At Nûby™ we strive to make the lives of parents and children easy, simple and fun so they can enjoy the most wonderful experiences of growing up, safe in the knowledge that our Nûby™ products have been developed, researched and manufactured to the highest standards. With many products to choose from, I chose to review the Nuby Nail Care Set and the Nuby Medical Kit. Nuby strives to provide quality grooming products necessary for safe and simple grooming of your baby. I received the green Nail Care Set. This nail care set comes with everything that you need to groom your baby. The Nail Clippers are small enough for baby's nails but they are easy for my big fingers to hold too! There is a snap on cover for easy storage too! There is also Baby and Toddler Nail Scissor. They are made with stainless steel. I loved using these when my kids were itty bitty. I was so scared to clip their nails and these seem to be a lifesaver. You can trim across straight nails and shape them however you want to! They come with a hygienic cover that you can put over top of them when you store them. One last thing that is also a lifesaver that comes in the nail care set would be the Soothing Emery Boards! There are 4 of them and they help shape and get rid of them little sharp edges on your baby's nails. We all know that newborn nails seem to be the WORST when they scratch you in the face. Can you say OUCH? 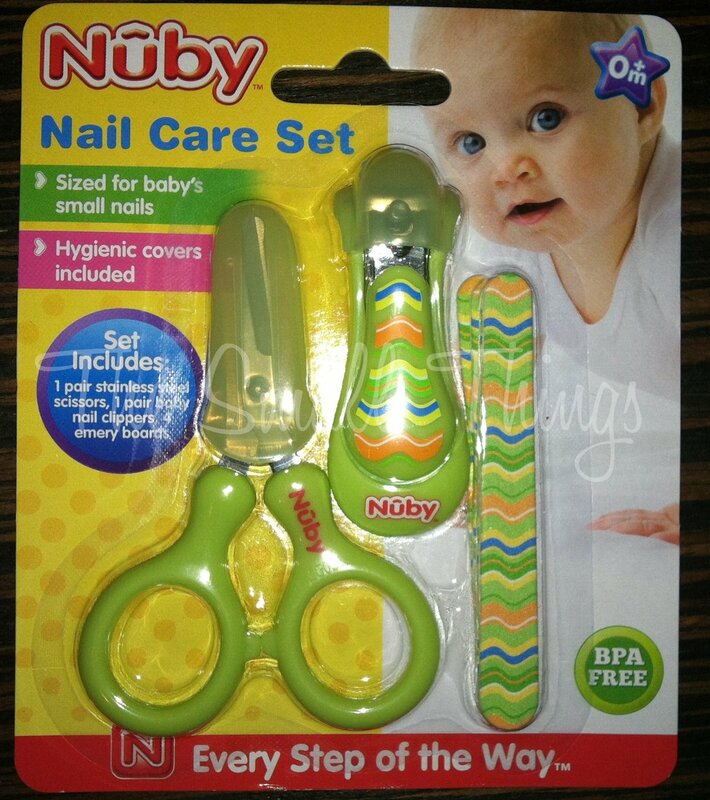 Want to know where to buy the Nuby Nail Care Set? Go and buy it now at www.buybabydirect.com/p/56! It is only $6.99 and there are 6 colors to choose from! 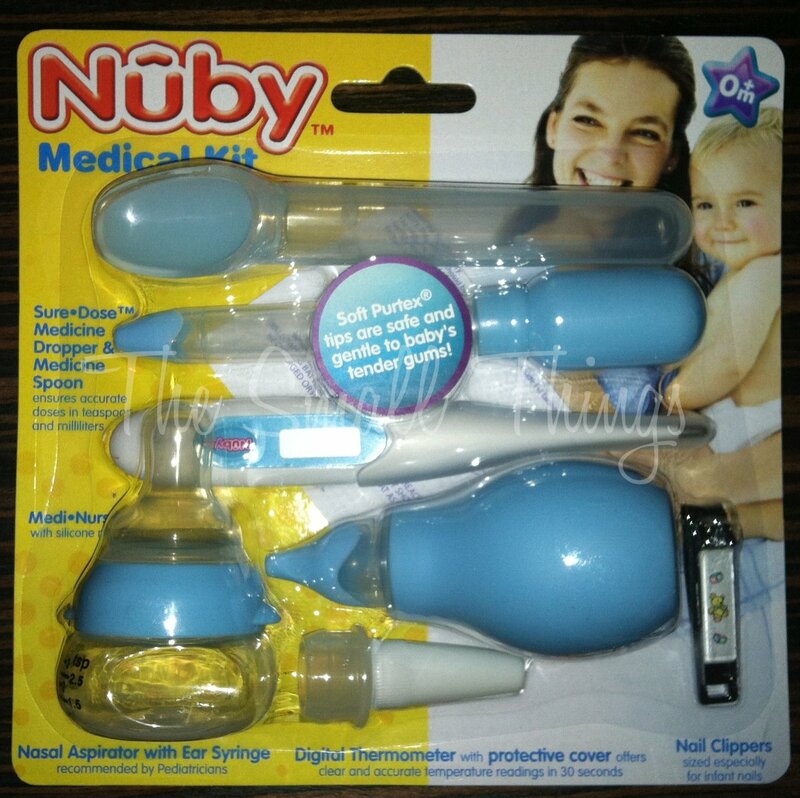 Another product that I received that is a complete life saver would be the Nuby Medical Kit! This Medical Kit comes with the necessities that you need for your baby! What does it come with? It comes with a Sure Dose Medicine Dropper & Spoon. No more worries about inaccurate dosage! This dropper and spoon is a must have when you have a baby/toddler! There is also a Medi Nurser! It was designed to bypass most of baby’s taste buds when administering oral medicine or vitamins. This is a quick way to get that little one to take their meds! The Nasal Aspirator doubles as an ear syringe. I know that the aspirator is a must have from day one of bringing home your baby. It was always a lifesaver when my kids were brought home because they always seemed to get choked up on snot or breastmilk. There is also a thermometer. We all know that having one in the house when you have a baby is a must. I always want to see how warm my babies are getting when I suspect that they are sick, it also comes in handy to use right after they have had their shots. There is also a small nail clipper. Once again, you can never have too many of these. You can buy this product at www.babybungalow.com, www.amazon.com and www.shopbobbys.com You can purchase starting at $11.95! I hope that you have enjoyed reading about these two Nuby products! I have more for you to read about in the coming week! Please take a moment to follow Nuby on all of their social media! There will be giveaways coming up and I would love for you to take part!